1168 Drouillard Road, free parking in the Gino & Liz Marcus Community Complex parking lot directly across the street. 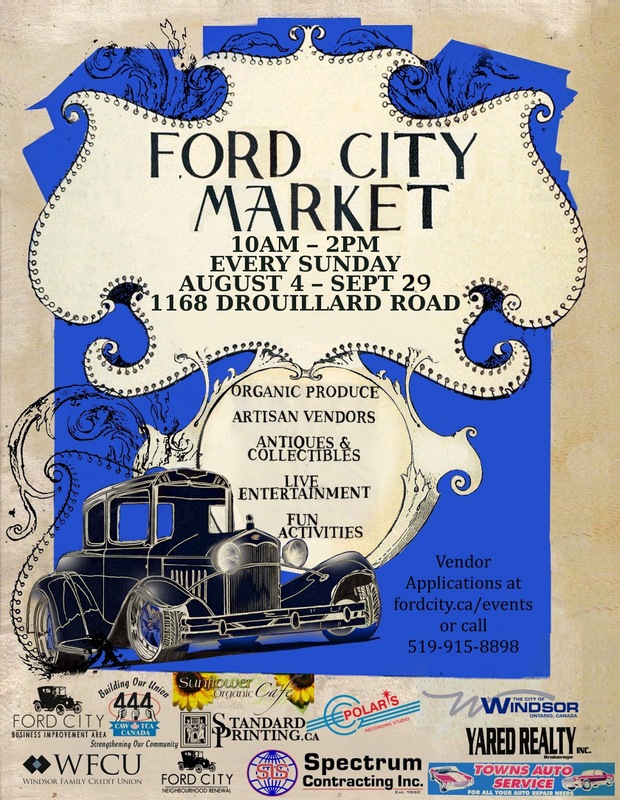 The Ford City Market will feature a variety of products including organic produce, flea market items, artisan wears, live entertainment and fun family friendly arts and heritage activities. Free admission all day. 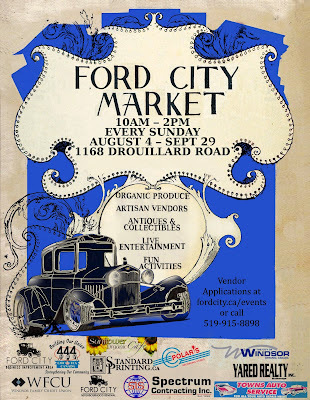 The market is a new initiative of the Ford City Business Improvement Association. Questions? Call Jennifer Kimmerly at 519-974-3500 or Patricia Julian at 519-915-8898 or email Patricia thesunflower@cogeco.ca.